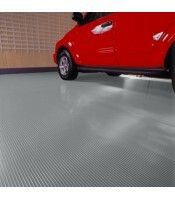 Diamond Deck Roll-Out PVC Flooring Roll out Diamond Deck flooring gives your garage floor a stylish ..
Store It Well offers many of the best garage flooring products available today at the lowest prices. With our factory direct pricing, fast shipping and best customer service you can shop with confidence. Our extensive garage remodeling line also includes cabinets, mats, threshold seals and much more. Have a question? Give us a call toll free at 888.502.6925, we would love to help. Don't be fooled by flashy sites claiming this and claiming that, Store It Well has been selling garage floors for years and our customers appreciate our low prices, honest service and quality products. So remember for all your garage flooring needs, don't just store it, Store It Well! Great products at low prices. 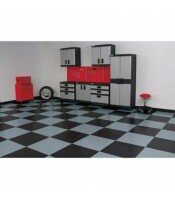 Store It Well has everything you need to complete your garage design project at a price you can afford. Our products are easy to install and will be shipped right to your front door. Garage Floors - How Much Do I Need? We all know that garage flooring can significantly improve the appearance and function of your garage. 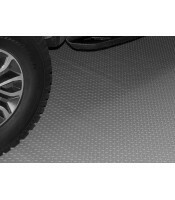 The easiest garage flooring for that project would include our rolled garage flooring. 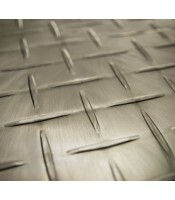 This will provide you with a GREAT garage floor but some people like the look of garage floor tiles. At Store It Well we have a great solution, Race Day Peel and Stick Tiles. Garage Floor Tiles - What type is best for me? There are many types of cheap garage floor tiles available on the market today generally divided into two categories, rigid and soft. What are the best garage floors? Garage Floors, What Thickness Do I Need? Garage Floors - Which one is right for me?